Are you wondering how to choose event catering that is both memorable and mouth-watering? There’s one fabulous food that has been creating queues since medieval times – a traditional, tasty hog roast. Hog roast catering never goes out of fashion. Not least as it lends itself to every occasion under the sun. Or events that are indoors too! The Roasting Pig team are in demand for weddings with a difference, festivals when food matters and fates of all shapes and sizes. If you’re holding any sort of event – inside or out – in the Burbage area and beyond, The Roasting Pig means happy customers. Succulent, quality meat, prepared in the open, served with abundant sides and sauces, is always a winner. We can add other meats to create a juicy, varied carvery if you prefer. Though hog roasting is traditional, our standards of preparation and service are right up to date. The Roasting Pig team are professional, uniformed chefs. We maintain the high standards you would expect from a Leicestershire catering business with a 5-star food hygiene rating. 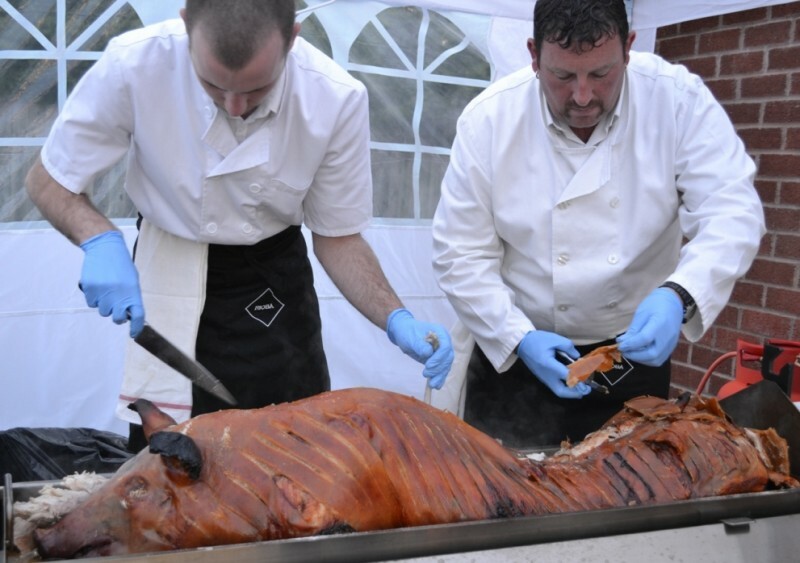 We offer a choice of bespoke and set menu options for hog roast hire in the Burbage area, including Hinckley, Earl Shilton, Barwell and nearby. All with the assurance of competitive prices. We help clients to keep costs manageable. 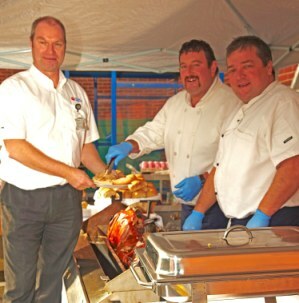 Not least as our hog roast equipment is often used for charity events in the Midlands. 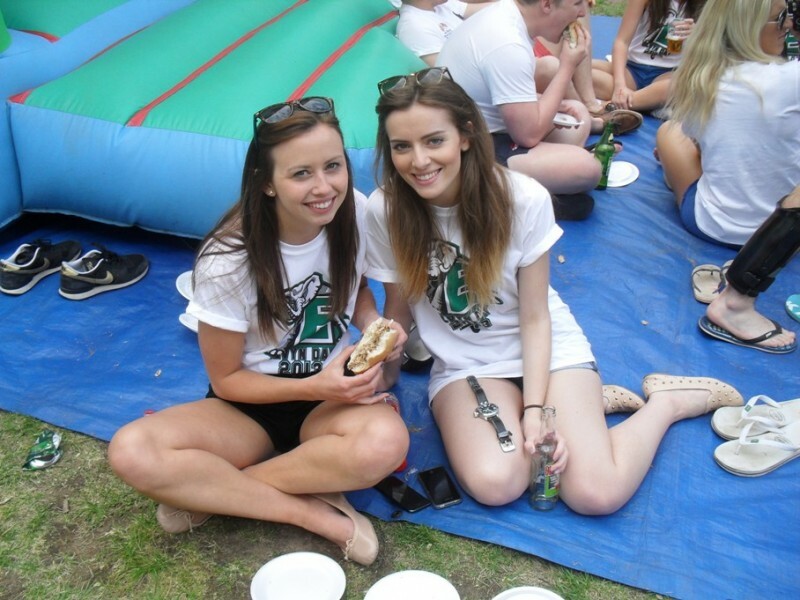 Hog roast in Burbage is always a welcome sight for event guests; whether it’s a wedding at The Green Rooms, a birthday celebration at The Factory, a conference at the Greene King Stadium or private party at home. The Roasting Pig’s willingness to fit around your event needs is just one of the reasons we have so many glowing customer testimonials. However, probably the main reason we have so many fans in Burbage and beyond, is that our food is universally acclaimed as being delicious! 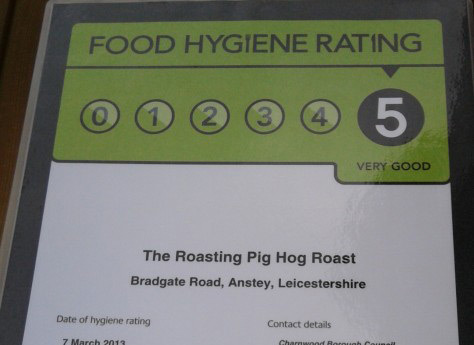 To book hog roast catering for a Leicestershire event, contact The Roasting Pig team today.